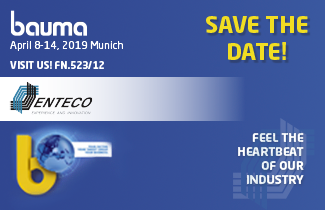 Just two more months to bauma 2019, the long awaited event of the year... Of course we will be there, with exciting news and exclusive innovations. And trust us, it’s something that’s completely unique for the market! Write down the booth, FN 523/12, and stay tuned for a sneak preview.